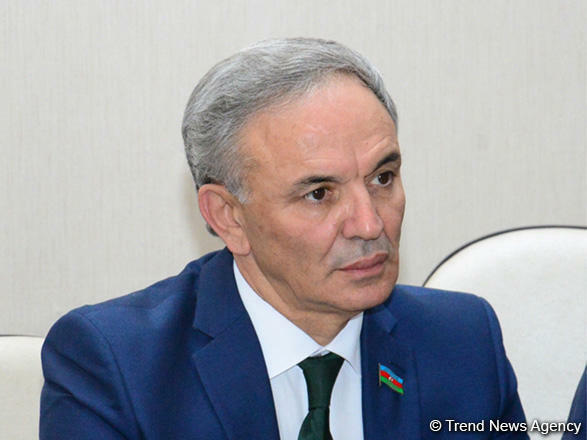 Relations between Azerbaijan and Turkey are so strong that they cannot be compared with any interstate relations in the world, Azerbaijani MP Aflatun Amashov told Trend. He noted that September 15, 1918 is the date of the greatest test of this strength in the 20th century. "The main thing is that on September 15, the Turkic brotherhood came out of the trials with its head held high. Liberation of Baku from the Armenian-Dashnak occupation by the Islamic Army of the Caucasus was an extremely important event from the political point of view in the establishment of the Azerbaijan Democratic Republic, which was declared on May 28, 1918," Amashov said. The Azerbaijani MP added that in connection with the 100th anniversary of the liberation of Baku, large-scale events are held in the country and in brotherly Turkey. "All these are very important from the point of view of communicating this event to future generations as a glorious page of our common history," the Azerbaijani MP said. Amashov said that when the Islamic Army of the Caucasus, under the command of Nuri Pasha, entered Baku, he established a headquarters in the village of Gobu of Absheron District. "Therefore, I propose to create a museum there, which will bear the name of the outstanding commander of the Turkic world. It will be a tribute to his memory and at the same time will make an important contribution to the preservation of history," Amashov said. September 15 marks the 100th anniversary of Baku's liberation from the Bolshevik-Dashnak occupation.